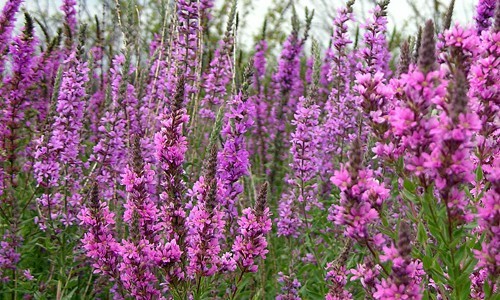 Found in moist, rich areas such as meadows, clearings and deciduous woods. Grows in partial shade. 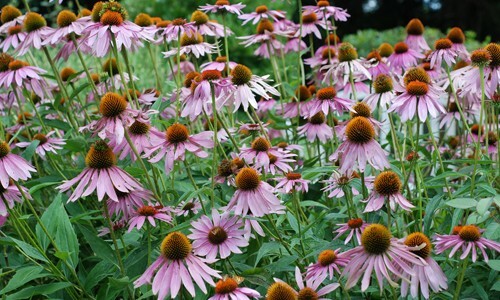 Grows throughout the Chesapeake Bay watershed. The trout lily has a single, nodding flower at the top of a short stalk. Flowers are yellow on the inside and bronze-colored on the outside, with six petals that curve upward away from six brown stamens. 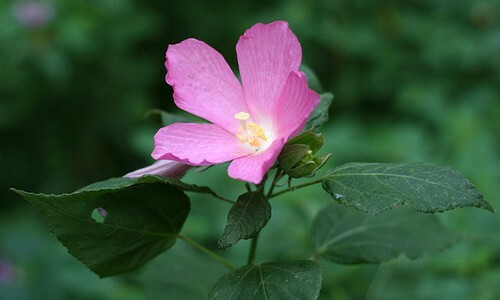 The flowers bloom in March to May. Mottled brown and green leaves grow at the base of the plant. Young plants have only one leaf, while mature adult plants have two leaves. Trout lilies grow 6 to 8 inches tall. New plants usually grow when underground rhizomes spread and form colonies. Mature plants also spread via seeds. Ants scatter the seeds, eating part of the seed and leaving the rest to germinate. The name “trout lily” comes from the plant’s mottled leaves, which look like the markings on brook trout. It is also known as the dogtooth violet or adder’s tongue. Some trout lily colonies are 200 to 300 years old. Trout lily leaves and bulbs were once eaten for medicinal purposes as a contraceptive.